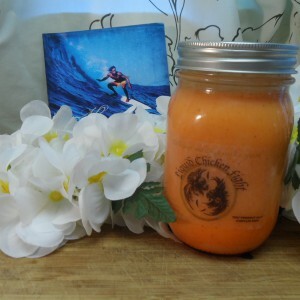 Home > Products > Liquid Chicken Fight – Li Hing Mui 16 Oz. Li Hing Mui – Li Hing Mui flavored Liquid Chicken Fight Egg Liquor. Not only for our local bradda’s! The original Liquid Chicken Fight mixed with Li Hing Mui. A great combination! Sweet, sour but also a little salty. Li hing(redpowder) was found in Hawaii. The red powder called li hing powder consists of ground up-plum skin that has previously been pickled in a combination of licorice, sometimes, but not always aspartame, food coloring, salt, and sugar. 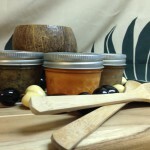 Li hing powder can be used as a flavoring usually sprinkled on candy and other fruits notably pineapples and apples. In the United States Li hing mui powder can be found in Hawaii, where local children like to put li hing powder on sour gummy bears, sour gummy worms, sour watermelon candy, sour patch kids, shave ice, sour apple candy, rock candy, popcorn, and arare. 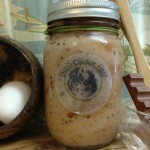 Grown ups put it into Liquid Chicken Fight and eat it with Pancakes, cakes or just by the spoon. SKU: 2. Category: LCF - Egg Liquor. Tags: egg liquor pineapple, li hing, li hing mui, li hing pineapple, liquid chicken fight, liquid chicken fight li hing. 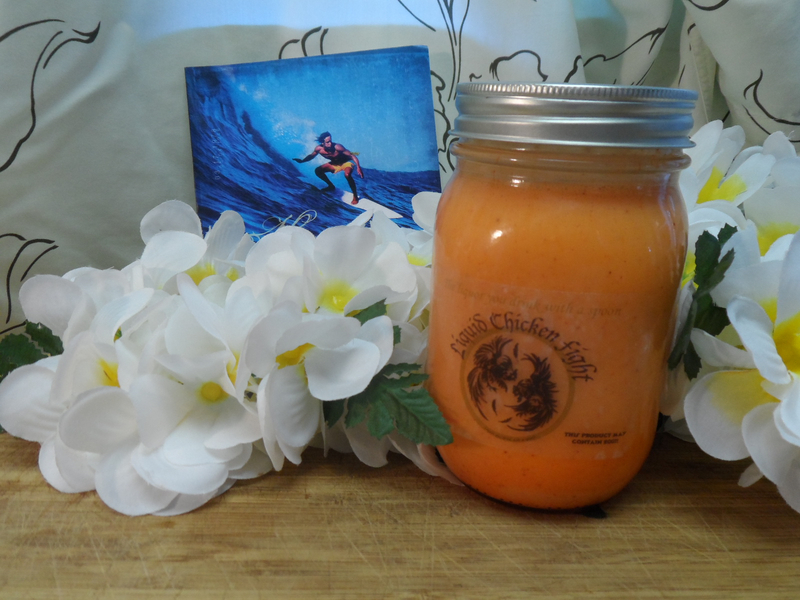 Be the first to review “Liquid Chicken Fight – Li Hing Mui 16 Oz.” Click here to cancel reply.